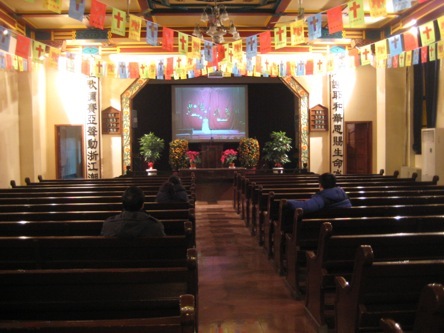 Unfortunately, like other churches in China, the Gulou church was taken over by the government in the 1950s, and was used as a warehouse during the Cultural Revolution. In 1979, the church was returned and services restarted. After surviving wars and closure, the palatial church building succumbed to commercialization in 1998. The church was torn down to make space for a highway. A new (albeit a grander and more modern) church was built in 2002 close to its original location. 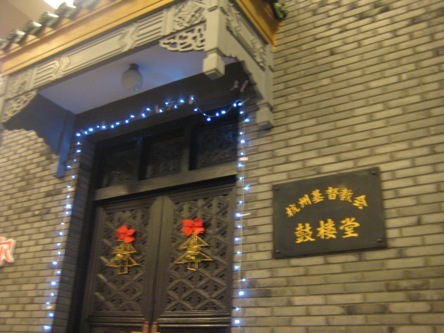 The history of Hangzhou Gulou Church is a familiar one. 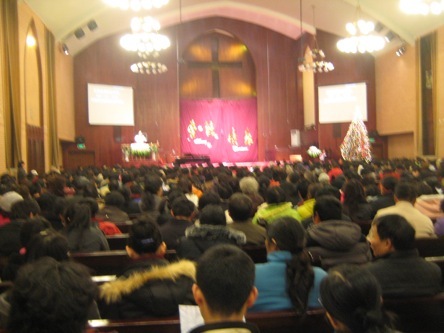 Most churches in China have endured similar fate during the Cultural Revolution, and have been expanded or renovated in recent years along with the boom in Christian population. 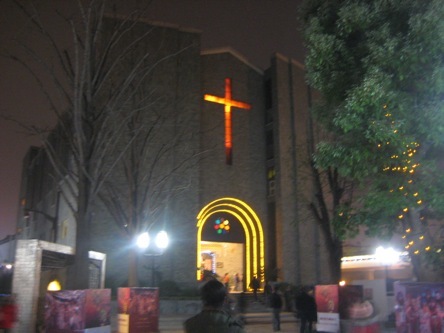 There is a big cross on top of the five-story church, which can be seen from the highway nearby. The first floor has a lobby area and a small chapel. When building the new church, the architects tried to preserve some elements of the old church. This small chapel kept the look of the original one. The banners on both sides feature calligraphy by a Chinese general, who was a devout Christian, during the 1930s and 1940s. 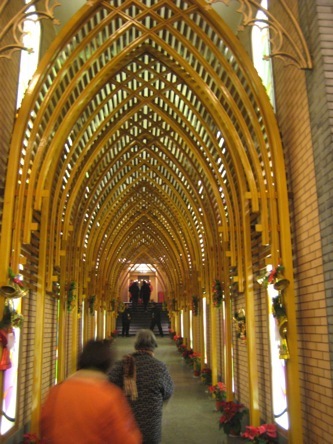 People walk through this hallway to the second floor, where the main chapel is. The main chapel can accommodate over 1,000 people, another 1,000 people to go to become a mega church. 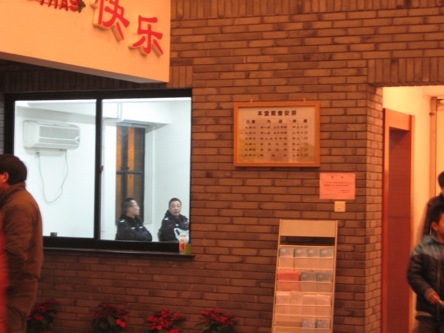 There are around eight cops at the church, watching over people to keep peace. The threat can be one insane individual, which I encountered, see below. It was a little scary as people don’t know what he might do. (friends joked maybe the Holy Spirit is in him). Pastor Mu kept calm and finished the sermon.